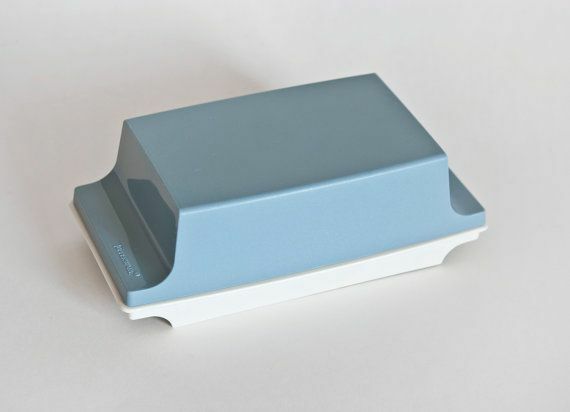 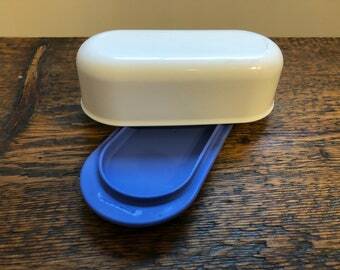 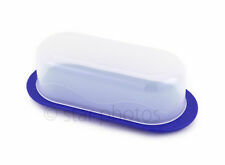 Tupperware Butter Dish Keeper in Sheer / Blue for Single Stick of Butter - NEW! 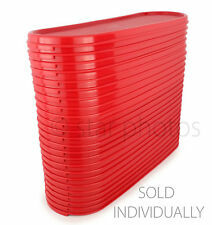 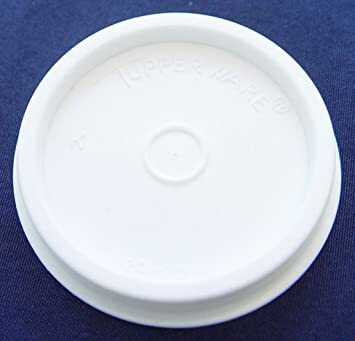 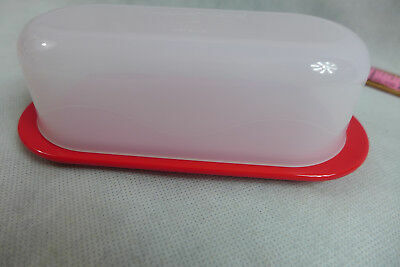 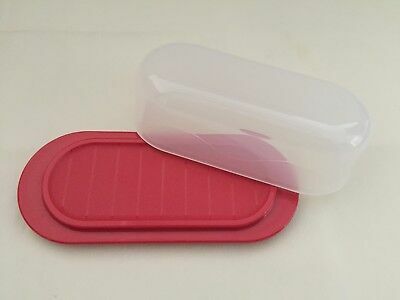 Tupperware Modular Mates Super Oval Seal Replacement Lid in Popsicle Red - NEW! 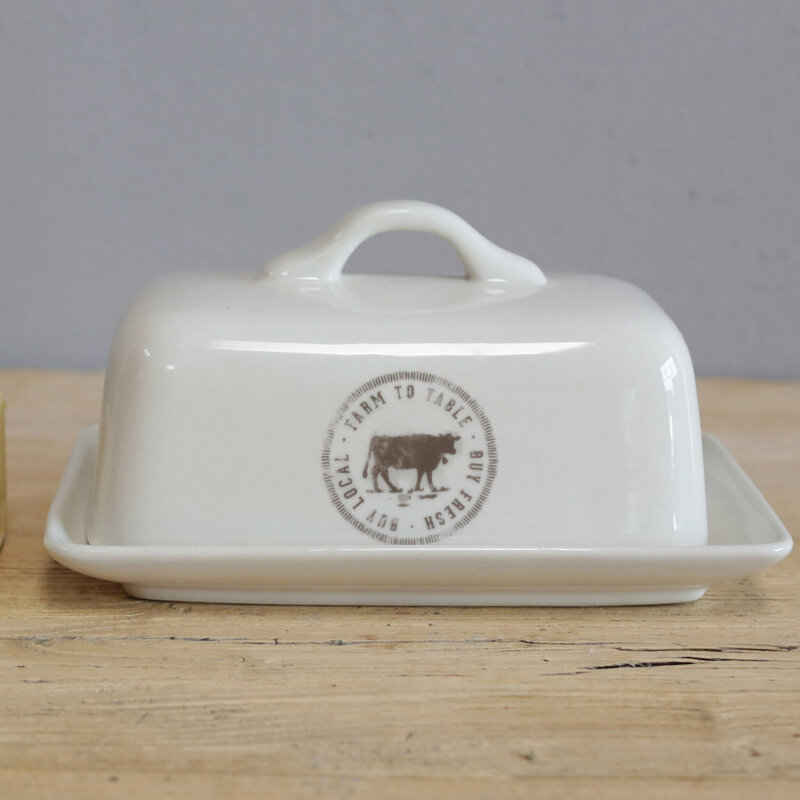 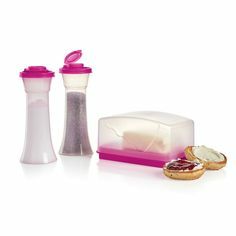 Keep contents fresh with the classic Large Hourglass Salt and Pepper Shakers and g Tupperware® Impressions Butter Dish. 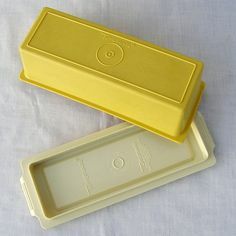 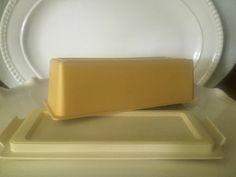 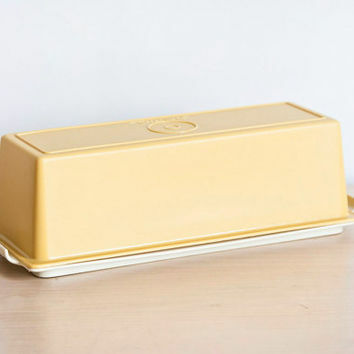 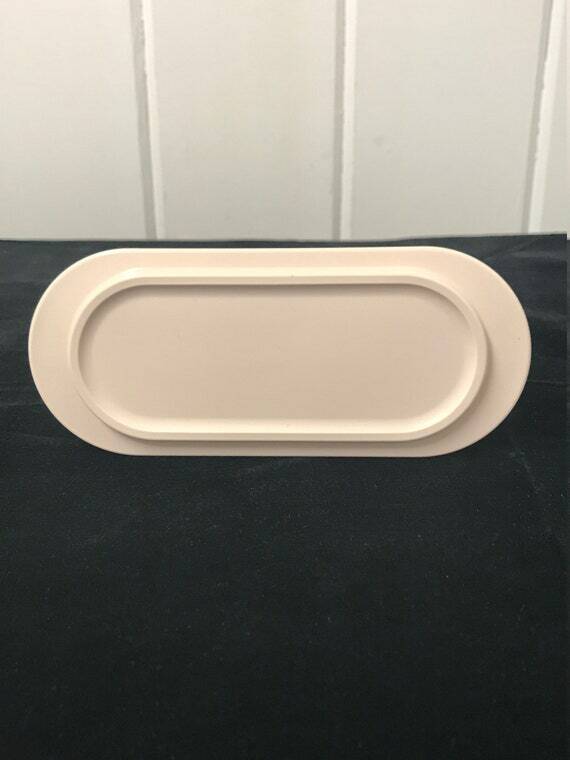 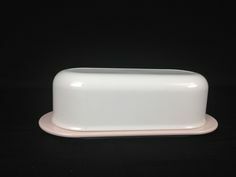 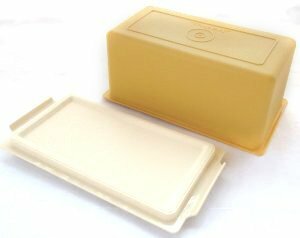 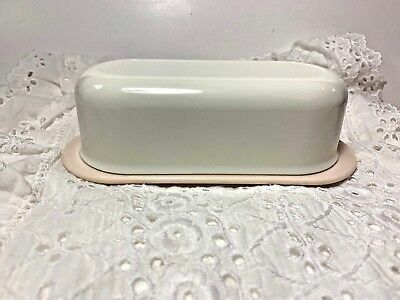 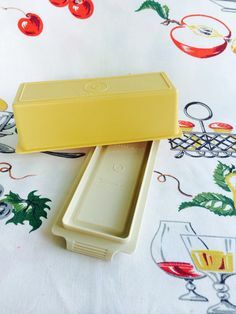 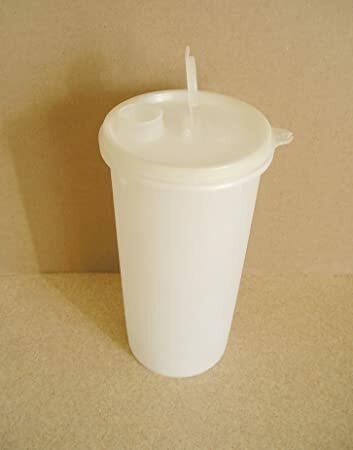 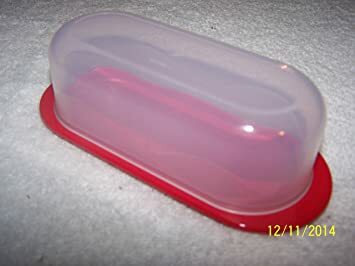 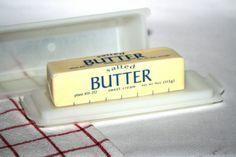 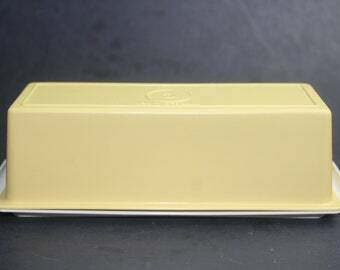 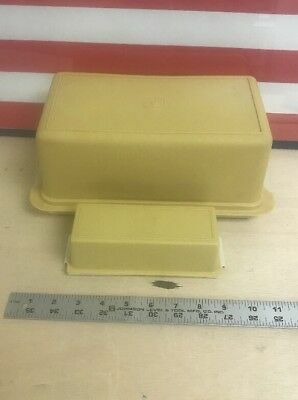 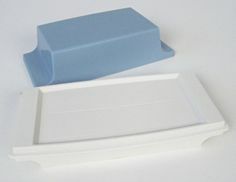 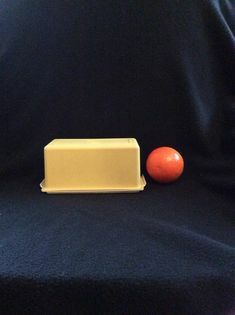 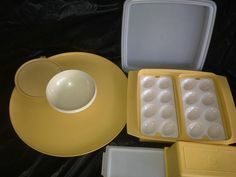 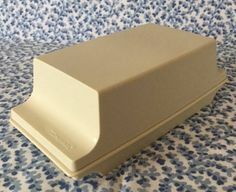 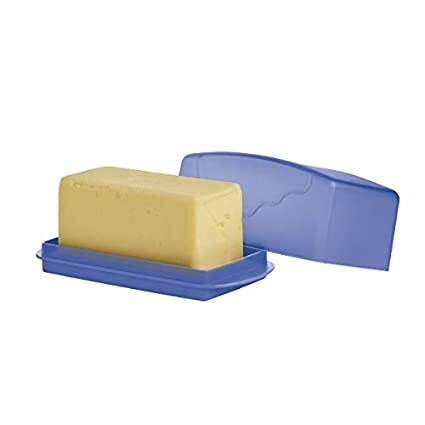 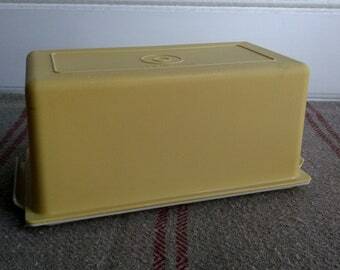 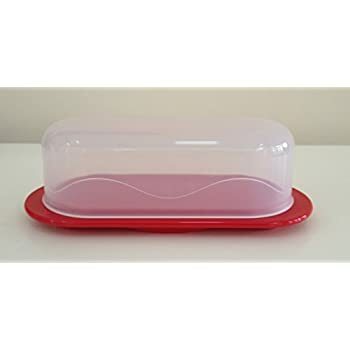 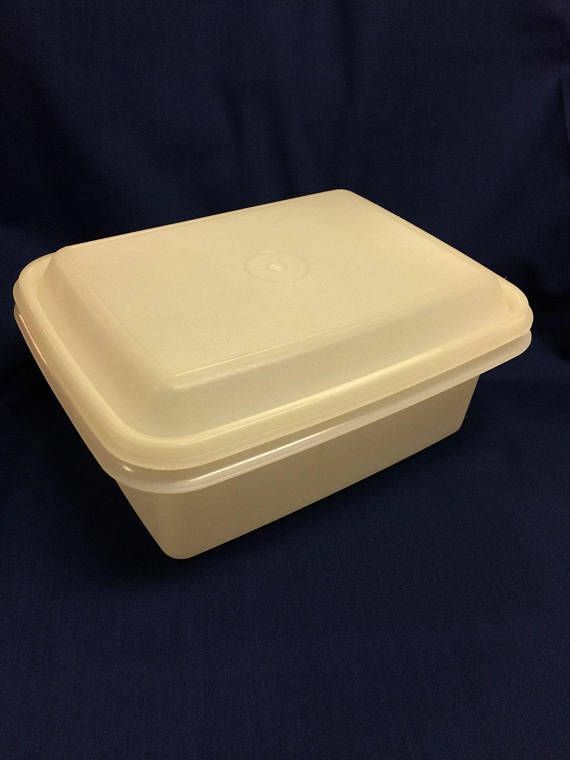 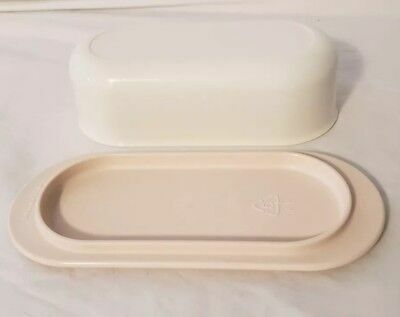 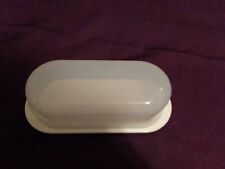 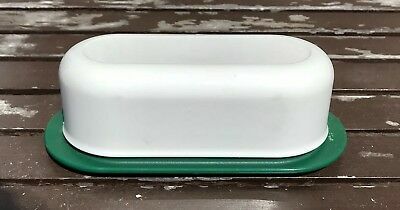 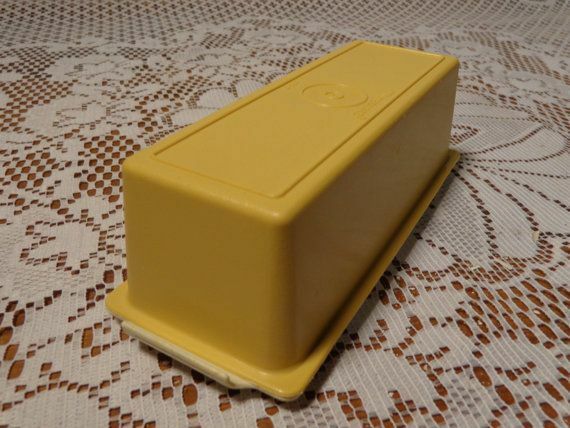 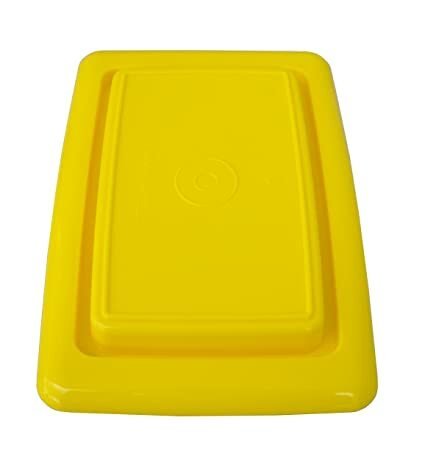 Tupperware Butter Dish 2 Stick 1/2 Lb. 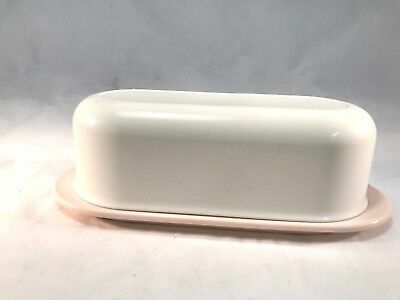 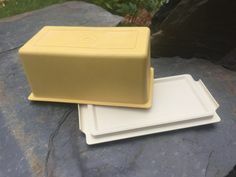 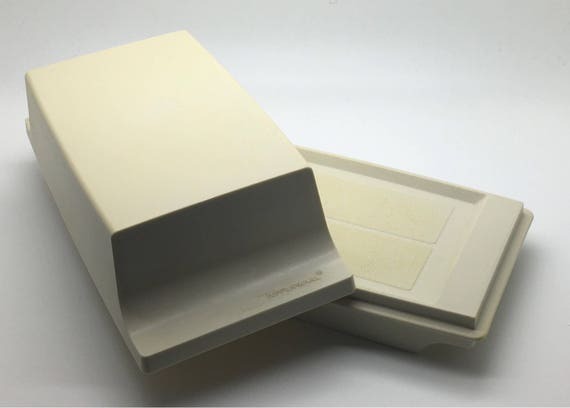 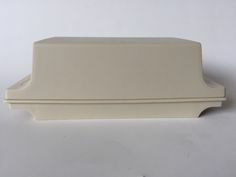 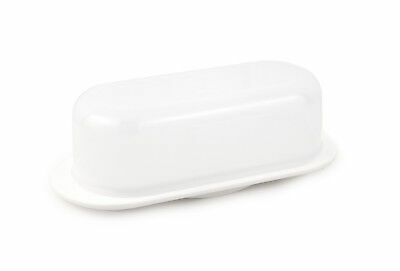 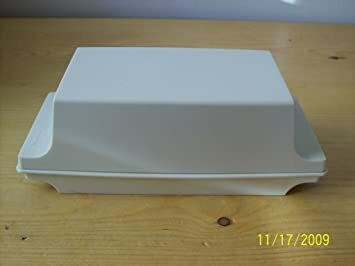 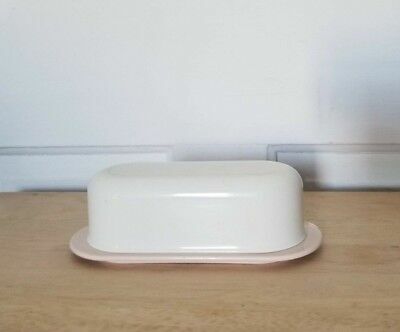 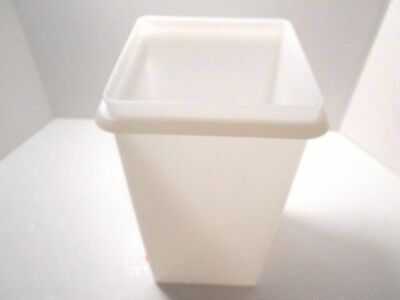 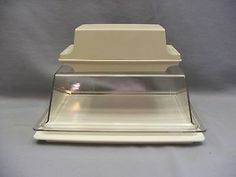 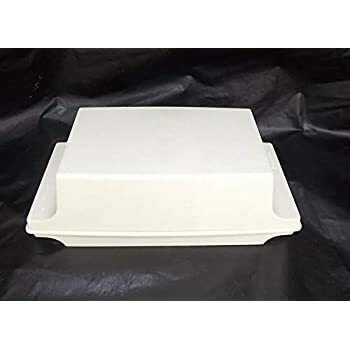 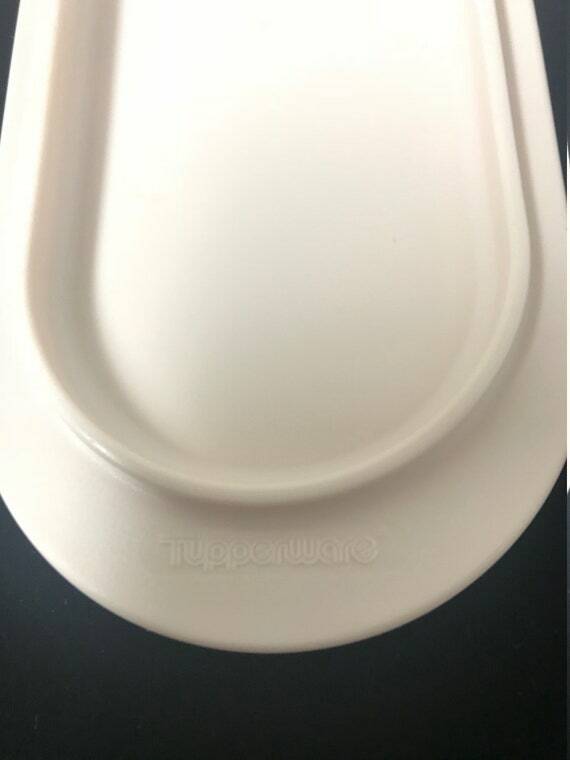 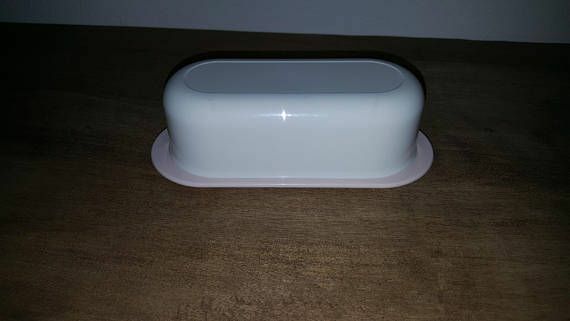 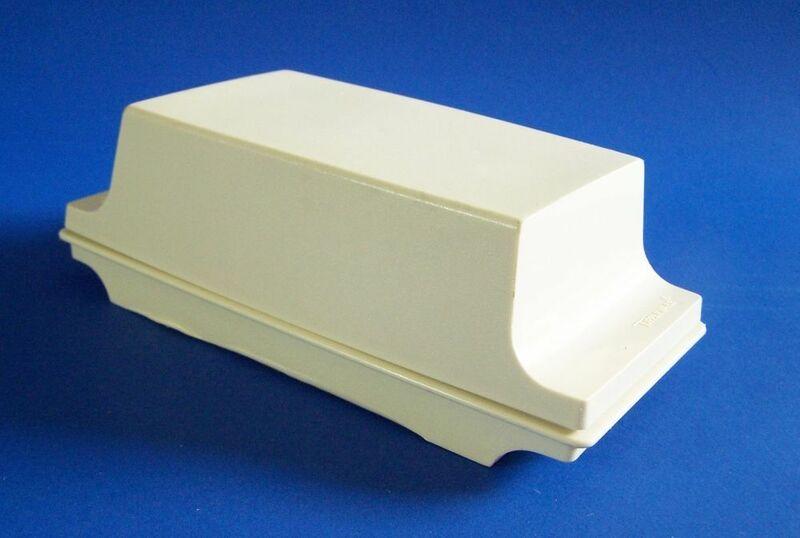 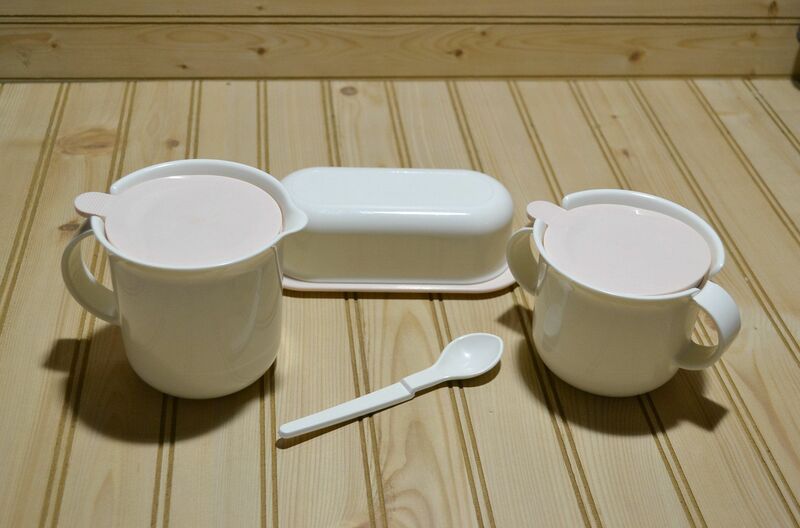 Tupperware Butter Dish in White for Single Stick - New in Factory Packaging! 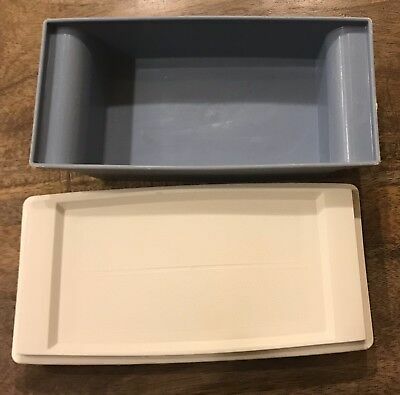 Vintage Tupperware Double Butter Dish/ Butter Saver - Blue and White Plastic - 1980s - Made in U.S.A.
Tupperware Plastic sealed butter dish in a Butter color FREE SHIPPING!! 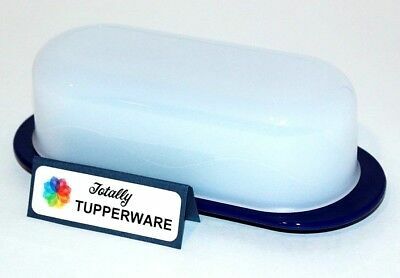 TUPPERWARE New BUTTER DISH with COVER Impressions TOKYO BLUE BPA Free! 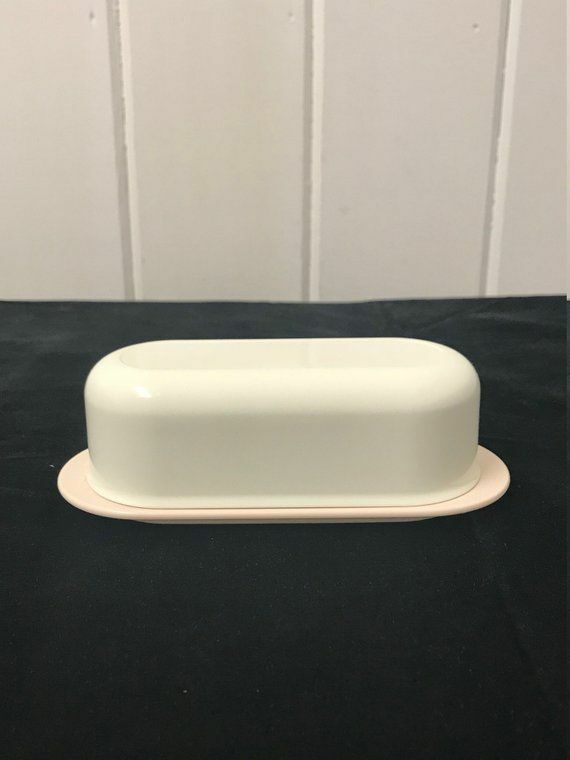 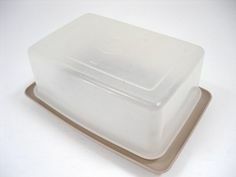 Original vintage Tupperware 70s 80s - Lovely light brown butter dish transparent lid, Square food container, Kitchen storage design style! 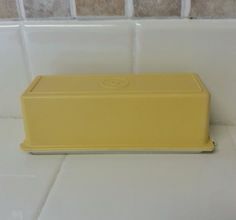 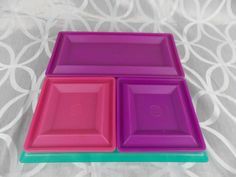 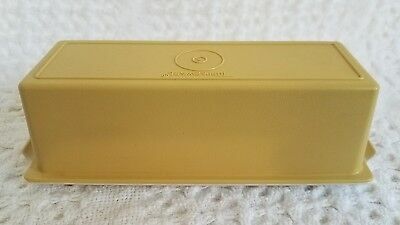 Tupperware Butter Dish Open House One Stick 1/4 lbs.